This week was a GREAT week! For the first time in quite a while now, we were able to dedicate the whole week just to missionary work: finding, teaching, and baptizing. And we received so many blessings this week! We found seven new investigators, and 4 of them accepted baptismal dates! What great blessings. Nebel is progressing well. Also, Maira, who the hermanas are now teaching, is going to get married the 4th of October and is going to get baptized on the 7th of October!! I am so excited for her!! She is awesome. We ran into her the other day, and she told us how excited she was to get married, and then said, but really, I'm way more excited to get baptized than I am to get married. :) She has been wanting to get baptized ever since Elder Frey and I started to teach her, and now it is going to happen! Joys of missionary work. :) Franco Arriola (16 year old member) continues to help us in incredible ways. This kid is going to be a mission president some day, seriously. We had 6 lessons with him this last week, and he scheduled all six of them for us! And during the lessons, he taught half of the doctrines himself, and he was the one who invited them to read, pray, and go to church, and he even set baptismal dates! We didn't have to do much as missionaries. We only had to show up, teach, and testify. That is missionary work at its best. We didn't even have time to be in the streets some days because we had so many lessons already set up for us, and all we had to do was go and teach. If every member did missionary work like Franco, like it says in the Book of Mormon, the very powers of hell would be shaken. I hope that one day I can be a member missionary like Franco. I had a couple of experiences this last week that have made me think a lot about the Spirit. 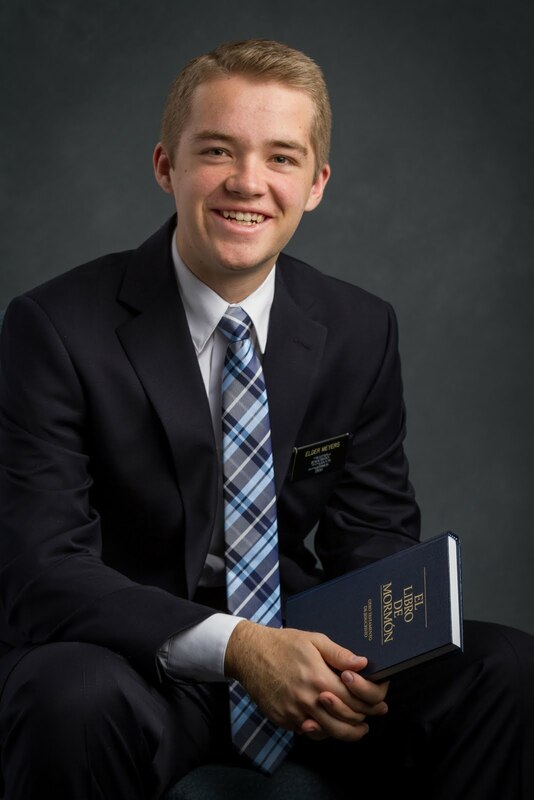 I came to realize that during my mission, I have come to recognize and follow the Spirit with much greater frequency, and that has definitely been one of the most fulfilling and joyful blessings of my mission. I have received a greater testimony that the Spirit is always there. We only have to listen. Sometimes, the things we are prompted to do don't make any sense, but if we follow them, the blessings and miracles that come are real. We find ourselves saying things that we never could have known that we needed to say, finding people we might never have found, and helping people in ways that they need to be helped that we had no idea even needed help. I hope we can all find the Spirit a little more in our lives, and listen to its soft but powerful promptings. I know that when we do, we become true instruments in the hands of God to bring about His great work. Me next to my companion, Elder Streuling. Worldwide Service activity, we painted all of the waste bins on the riverside avenue in Concordia. It was lots of fun, and all the members in Concordia participated. There is a huge, beautiful park about 10 blocks from our apartment called San Carlos. It is breathtaking. Me and Elder Streuling often go running there in the mornings. The pictures don't do it justice, but it is a great way to start the day. Me and my companion, Elder Streuling.